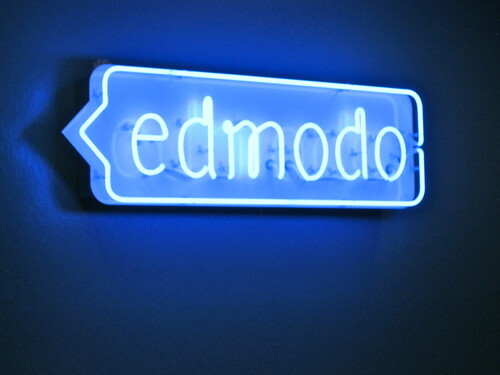 Edmodo is a free technology for students and teachers that provides a place for them to connect and collaborate with access to homework, quizzes, grades, class discussions, and other materials teachers want to share. The look of the Edmodo site reminds me of a social networking site, but it is all based around work in the classroom. It is also fairly close to that of Blackboard in the functions it provides for both teachers and students. As I navigated through the website of this technology, the creators of Edmodo set everything out for teachers on how to get started with this site and many ideas to incorporate it into his or her classroom. One way this could be used in education, aside from student access to class material anywhere, is that it is great place to post assignments, and for students to be able to submit their work right on the Edmodo site. For example, for my specialty in Language Arts, I can post writing assignments and the due dates for each on the site. I could also attach any relevant videos on a novel we are covering or extra credit assignments for any student. I also like the discussion portion in which students can constantly ask a question about an assignment they may have at home one night, or to post any new ideas they may come across with a reading or writing task. As I researched Edmodo, I found myself thinking of many ways I would incorporate this into my classroom and the benefits it would serve. I think it would be a great interactive tool to have with my students, not only in the short time I will have with them in the school day, but also interacting outside of the classroom through this one networking site. This entry was posted in Uncategorized and tagged EDFI560SM1206. Bookmark the permalink.